The University of Illinois Springfield Visual Arts Gallery features ‘Dark Night of the Soul’, artwork by Lorena Johnson. The exhibit, which is sponsored by the UIS Women’s Center opens on September 30, and runs through October 27. A reception will be held on September 30 from 5:30 to 8 p.m.
Lorena Johnson is a self-taught artist who began drawing after the loss of her parents in 1993. Her work embodies the human ability to manufacture new identity from difficult life experiences. 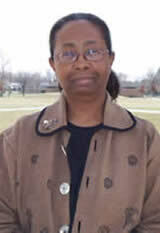 Johnson is the Program Director for the Certified Public Manager Program of Illinois at the University of Illinois Springfield. Johnson received a M.A. in Communications and M.P.A. in Public Administration from UIS. Speakers Series presents "Ask a Mexican!"